Last week a 19 year old man from Lancashire in the UK was found guilty of section 127 of the Communications Act; a British law which makes it an offence to send any message that would be considered ‘grossly offensive’ via a ‘public electronic communications network’. He was sentenced to three months in a young offenders institute. 19 year old Matthew Woods was recently sentenced to three months in jail for jokes he posted to Facebook. For those unfamiliar with the case, details surrounding the crime are as follows. Matthew Woods — the 19 year old in question — had (according to the BBC) spent the evening of the 3rd of October drinking at his friend’s house before deciding to post a number of ‘abhorrent’ jokes on Facebook. The jokes were regarding the missing 5 year old April Jones, a case which has been receiving substantial media attention in the British press, and Madeleine McCann, a young girl who vanished from her family’s holiday home in Portugal in 2007. The press have been, somewhat sensibly, choosing not to publish the jokes made (exception is The Guardian, who decided to include reference to a number of the milder messages posted by Woods). However, for those wishing to gain further perspective on the level of obscenity involved, the alleged joke can be seen on this SlashDot forum. Woods told the court he copied the joke from another website, believed to be Sickipedia. 2. The public response – According to Charlie Skelton, roughly 50 people turned up at his home threatening violence, with police arresting him at another address ‘for his own safety’. As Skelton goes on to highlight, the mob that turned up at his home was taken as a measurement for “public outrage”, indicating the gross offensiveness which constitutes the crime (also ignoring the fact that a mob response like this could technically fall under the Serious Crime Act 2007 of encouraging or assisting a crime). The importance of this case for freedom of speech online is obvious, and has joined a long line of recent cases being brought to court in the UK over the last year. 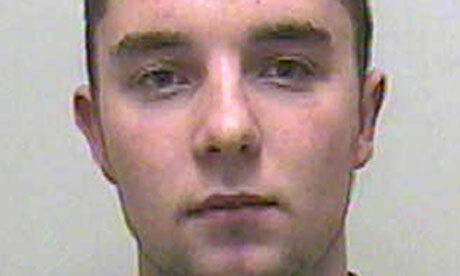 In March, Liam Stacey was jailed for 56 days for posting racist abuse on Twitter surrounding the on-pitch collapse of English Premier League player, Fabrice Muamba. In July, an accountant had his conviction of sending ‘menacing’ tweets overturned. But perhaps most suprisingly, a day after Woods’ conviction, a man who posted an offensive message on Facebook stating “all soldiers should die and go to hell”, was sentenced to 240 hours of community service over a two year period. British courts now have such a mixed bag of case law precedent to choose from surrounding offensive messages, it is almost impossible to determine how your actions online will be punished, or whether you are even committing a crime. Considering each of these cases revolve around communication that took place on social media platforms, it seemed fitting to take the pulse of the Twitter community regarding the ruling against Matthew Woods (which, unlike Facebook, has a general culture of making your tweets publicly accessible). Without such social media communities amplifying public awareness of tweets, comments and statuses, they would generally be lost in the ether of a previous posts. After all, a number, if not all of the 50 strong mob that turned up at Woods’ house threatening violence must have been Facebook users, and their (extremely questionable) behaviour can be considered the cause of the courts involvement. With this in mind, I gathered together all the tweets that I could find on the topic of the Matthew Woods case, which, at the time of research, totalled 1502. Personalised statements – any tweet which included a personalised message indicating the user’s stance on the ruling. Retweeted statements – any tweet which either retweeted another user’s stance, or retweeted a news article without any personalisation. The user is deemed as agreeing with the stance of the article where appropriate (for example, users sharing the article ‘Matthew Woods ‘joking’ about April Jones on Facebook is sick, not criminal’, by John Kampfner, were counted as ‘opposed to ruling’). As mentioned above, they were then assigned a stance: opposing the ruling, supporting the ruling, neutral (which was generally made up of those that shared articles reporting the conviction without bias), and highlighting disparities. This final category was necessary to accommodate all users that were discussing the inconsistency of sentencing in a number of high profile court cases. The response to such claims for some on Twitter was that the law is not fit to police modern communication mediums (it in fact dates back to the 1930s, and was designed to ensure telephone operators would not be harrassed). Index on Censorship, a publishing and campaign organisation for freedom of expression, have reported that the Crown Prosecution Service will be holding a public consultation (details of which can be accessed here from early November), with the goal of trying to establish new guidelines to rectify this matter. Whether or not this will solve the problem remains to be seen, but at least it is a step in the right direction. What is clear for now is that Social media users are clearly indicating that they do not agree with the punishment that the likes of Woods and others are seeing; and considering that social media users are the very people whom such rulings are supposedly attempting to protect, perhaps it is time they were listened to. Thanks for linking to my post. A point of information however: the joke you link to on Slashdot (Which I also linked to) was not included in the list of four jokes that were read out in the magistrates court in Chorley! This was confirmed to me by the reporter from the Lancashire Evening Press who was there. I am not an expert on court procedure so I am not sure if this means he did not write it, or whether he was convicted for it, or whether there were other words he wrote that simply were not read out in court. Either way, it shows that there is an ambiguity over precisely what he said. Surprisingly, there does not seem to be a screen grab available, as there was with Azhar Ahmed. I agree it was wise for the mainstream media to refrain from repeating his jokes, but given this is a speech crime it would seem right that the precise words he used are available for inspection.